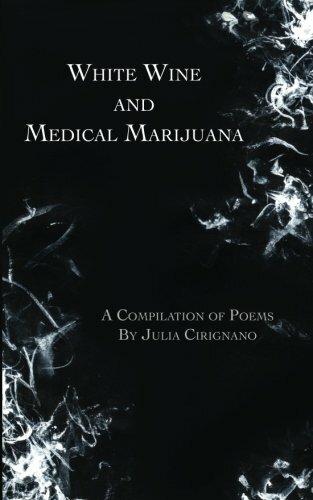 I was happy to read “White Wine and Medical Marijuana” by Julia Cirignano as a wine and poetry lover as well as writer; and an advocate for marijuana as a prescribed solution for chronic pain. But my perception of the book title was totally wrong as the reference to ‘Medical Marijuana’ gave me the impression of a topic very relevant to my life lately. Overall, I found, “White Wine and Medical Marijuana” by Julia Cirignano to be a deep collection of raw thoughts relatable to Millennial’s life experiences, great for young adults and even older crowds. It is a thought-provoking modern poetry collection which many will read again and again.